Your guide will pick you up at your hotel at 9 AM and take you for an incredible journey. 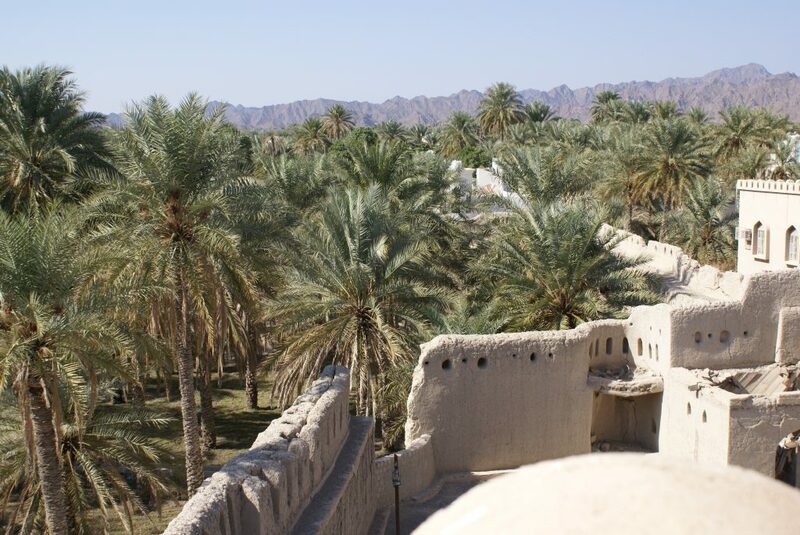 Start the tour by going towards Wadi Bani Khalid, one of the most picturesque wadis in Oman where water flows all year round. You can cool down in the green pools or walk up the wadi and see more pools with waterfalls. Your journey continues to Wahiba sands, with its golden sand dunes. Meet a Bedouin family, do some dune bashing, which consists in going up and down the dunes like a roller coaster with your 4×4. Enjoy the tranquility of the desert at the desert camp before going back up the dune to watch the sunset over the dunes. The night in the desert will be a memorable one. After a nice breakfast, leave the golden sand dunes behind you and after a stop in Ibra for a closer look at the old town of Ibra with mud houses as well as watchtowers proudly looking over villages from the top of the hills, head towards Nizwa, which was once the capital of Oman, go through the traditional and craft Souk where you can buy some souvenirs before visiting the Fort of Nizwa with its large circular tower and imagine life inside the Fort in the 17th century. The breathtaking view from the tower will show you how big the plantation is.